At 911 Water Damage, your privacy is very important to us, and we have the highest respect for the confidentiality of your personal information. We never sell or rent your personal information to any third party under any circumstances. 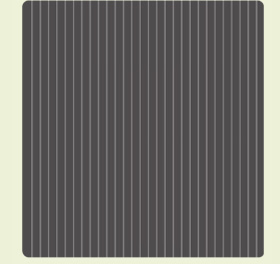 We value your trust and will work to protect the security and privacy of any personal information you provide to us. We use this information you provide about yourself only to complete the services requested or potentially needed by you to greater effect. We do not share this information with outside parties except to the extent necessary to complete your request. Should you have other questions or concerns about these privacy policies please call us at 888-243-6653 or, send an email to 911@911waterdamage.com or use our contact form. All information, functions, links, materials, and other content contained on 911 Water Damage site a part of 911 Restoration Inc. are the copyrighted works and property of 911Water Damage, Incorporated or the copyrighted property of our licensors or licensees. 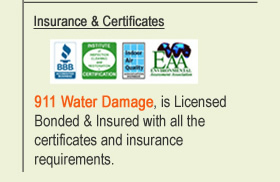 All trademarks, service marks, and trade names are proprietary to 911 Water Damage, and/or our licensors or licensees. We may change our websites and all related content or features in any regard, at any time, in any way, and for any or no reason. Except as to when we specifically agree in writing, no content from any 911 Water Damage and/or 911 Restoration Inc. sites may be used, distributed, transmitted, reproduced, or otherwise exploited in any way other than as part of the 911 Water Damage and/or 911 Restoration Inc. sites. 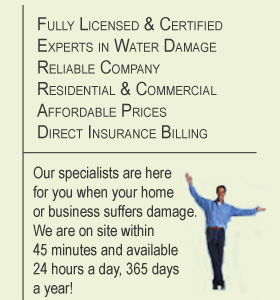 Under no circumstances, including, but not limited to, negligence, shall we, our licensors, or licensees, be liable to you or any other person or entity for any direct, indirect, incidental, special or consequential damages of any nature whatsoever that result from the use of or the inability to use any 911 Water Damage site. The content on 911 Water Damage and/or 911 Restoration Inc. sites are provided "as is" and without warranties of any kind. To the fullest extent possible to applicable law, we disclaim all warranties, express or implied.